Home » Service Manual Catalog » EPSON Adjustment Programs » InkJet printers » AP_PM-T990 I have paid for Reset Key but not received yet. Epson PM-T990 (Japaneese) Service Adjustment Program New! This adjustment program is developed for making printers adjustments. This adjustment program DOESN'T HAVE Waste Ink Counters Reset function, EEPROM copy/restore function and Initial setting function. 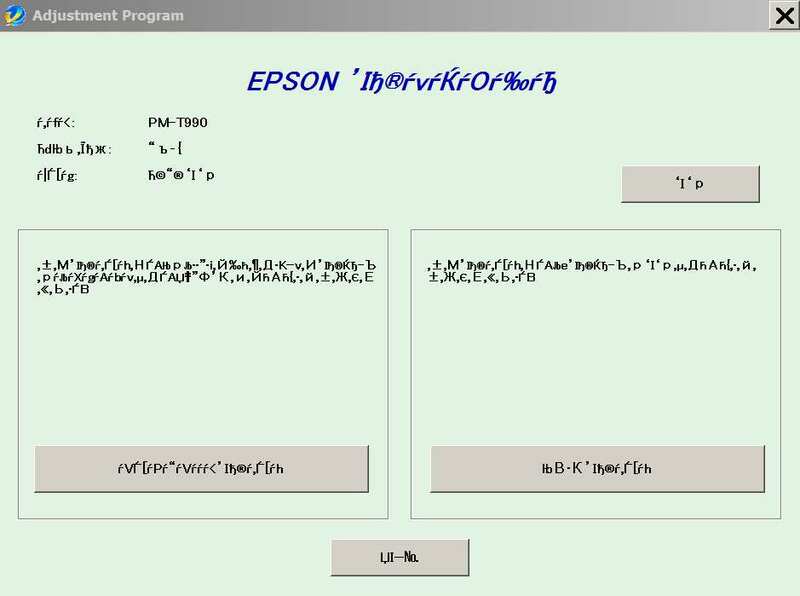 The Epson Adjustment Program for Epson PM-T990 can be used under Windows only (Millenium, 2000, XP, Vista [in compatibility mode]). We recommend reading the Epson PM-T990 Service Manual before using the adjustment utility. My printer stopped printing with the error as \"General Error\" Epson quoted me $60 to send an engineer to fix my printer. After reading through the information on this site I decided to fix it myself. Found the problem was related to the waste ink pad counter. Only 10 minutes, I had the the printer working. The printer tested fine and has done approx 150 pages since with NO issues. Thanks for the WIC program! Thank you, got it on-line! Perfetto! Qualche difficolt� nel registrare la chiave ma dopo mezz'ora dall'acquisto � stata "digerita" dal software! 9.99$ ben spesi!!! Notify me of updates to Epson PM-T990 (Japaneese) Service Adjustment Program New!